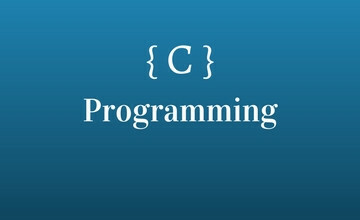 C Programming is a 8 weeks course, consisting of 4 hours per week lecture, assigned reading and homework programs. This course is most suitable for students or a person who wants to enter the world of computer programming. Choose an eLearning option and you can self schedule the course based on your convenient date and time. Do you have a group of 3 - 5 people? Choose this option. Press the below button to schedule a class with this learning option. Hourly learning, minimum 4 hrs booking required. Press the below button to schedule a class with this learning option. Do you need a private learning session? Choose this option. Press the below button to schedule a class with this learning option. Want to try us? Why not request a free demo session (max 60 mins)? Press the below button to schedule a class with this learning option. Below are the upcoming sessions. Click on the enroll button to attend the session. There no schedules sessions for this course. You can self schedule from above. Go through the course topics to be covered. Introduction to programming and C programming. How to write C programs. Learn conditional statements with many programming examples. Learning how to write C programs using various loop structures like for, while and do-while loop. Learn how to create and manage arrays in C programming. Continue on arrays with lots of programming examples. Learn about the most important topic of C programming which is pointers. Build a blogging system with admin panel. Accept reviews and implement blogging system using MVC concept of CodeIgniter framework. Structures and Unions in C programming. Hands on to many programming.